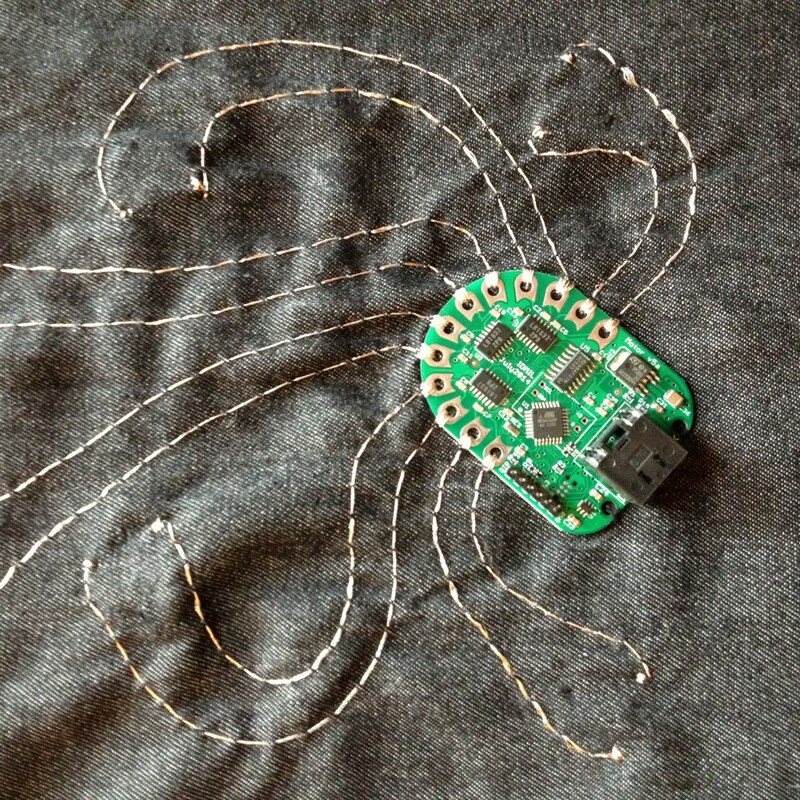 :body:suit:score (:b:s:s) is a four-year research-creation project that explores the technological, creative, and aesthetic possibilities and applications of mobile music performance through the use of vibro-tactile score information. Whereas traditional music performance emphasizes carefully placed sound sources and stationary audiences, :b:s:s seeks to generate technological capabilities and aesthetic frameworks that enable composers to treat spatial disposition and movement as an additional musical parameter. The project’s aim is to devise new compositions that can be played and experienced in motion. :b:s:s brings together the following four inter-x art, music, and body-based academics and their inventive research hubs: Sandeep Bhagwati, Founder and Director of Concordia’s matralab; Dr. Marcelo Wanderley, Director of McGill’s Input Devices and Music Interaction Laboratory (IDMIL); Joanna Berzowska, Founder and Research Director of XS Labs, a design studio that innovates in electronic textiles and responsive garments; and Isabelle Cossette, Founder and Director of McGill’s Music Performance and Body Lab (MPBL). :body:suit:score is financed by a 4 year SSHRC grant entitled Musicking the Body Electric as well as by the Canada Research Chair for Inter-X Arts. Through a collaborative and iterative research-creation methodology, involving workshops, lab development, creative exploration, and critical evaluation phases, the b:s:s team will focus on three inter-related streams. Second, the team will establish a new approach to score-reading that allows mobile musicians wearing the suit to intuitively learn and play compositions. 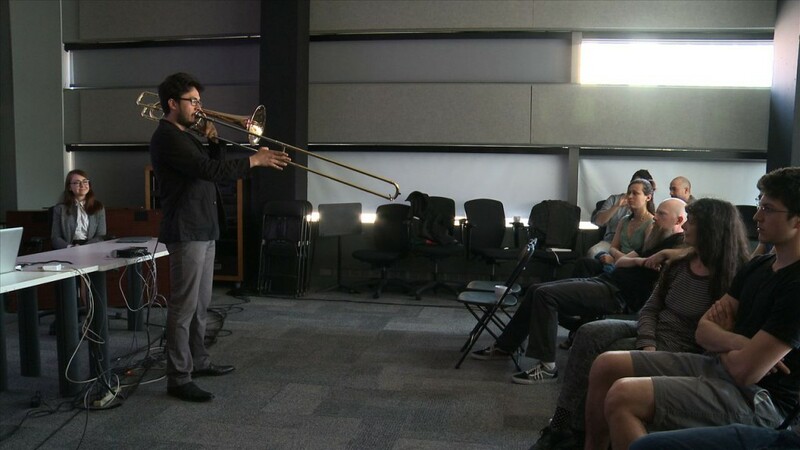 Since the 1950s, musicians involved in contemporary art music have learned new score-reading techniques, such as graphic, verbal, and instructional, as they adapted to new instruments and forms of music-making. 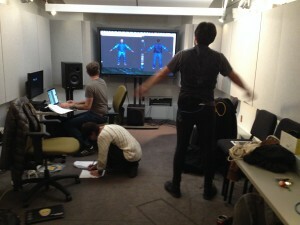 The b:s:s team will develop a score-reading technique specific to the body-score suit by creating a digital game that rewards mobile musicians for successfully activating the right body-based musical reactions on the suit. Composers will be able to pre-set the aesthetic parameters present in an individual composition on the meta-game software. Third, the team will focus on composing creatively for and performing with the body-score suit. Adam Basanta, b:s:s research associate, and Julian Klein, Director of the Institute for Artistic Research in Berlin, will join Sandeep Bhagwati to compose music for the project. These composers will investigate ways to create compositions that embody and highlight the unique qualities introduced by the project’s new musical technologies and playing techniques. The b:s:s team will also examine musical concepts concerning space, movement, and performance to engender new musical frameworks that redefine the composer-musician relationship, re-imagine audience experiences of music performance, and mobilize musicians and listeners. 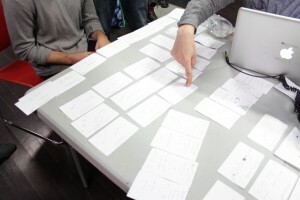 These new concepts will be explored in compositions, creative works, and theoretical papers.